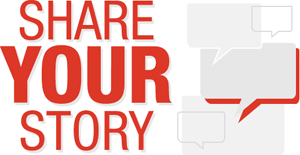 You are here: Home / Vaping Articles / Here’s Some Vaping Popcorn Lung Facts That is a must read. Popcorn Lung is the nickname given to bronchiolitis obliterans. No, that’s not a Harry Potter spell, it’s a condition that damages your lungs airways making you cough and feel short of breath. 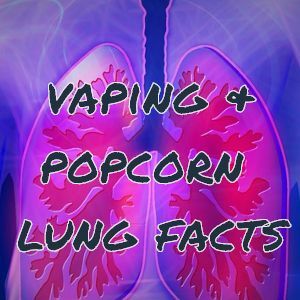 Here are some Vaping Popcorn Lung Facts that we have discovered. The reason it’s nicknamed “Popcorn Lung” is because it’s generally caused by breathing in the chemicals used to flavour popcorn, and can found most in workers at popcorn factories. Because workers at popcorn factories have been found to have bronchiolitis obliterans more than the general population, many popcorn factories have taken out the chemical that causes it: diacetyl. Unfortunately, some brands of e- juice, the flavouring for vapes, contain diacetyl. It’s important to get a quality vape juice. Here is the good news: diacetyl was used in early vape flavourings and most companies have replaced it with another chemical. And the amount of diacetyl in vape flavours is much lower than that found in popcorn factories. That said, there are other chemicals that can cause bronchiolitis obliterans: Acetaldehyde. This chemical can be found in some vape and marijuana smoke. There are a lot of other chemicals that can cause bronchiolitis obliterans, but they aren’t relevant to vaping so I will leave them out. While companies have been taking diacetyl out of their flavouring since 2000, you will still find it in some brands of e-juice, as well other potentially harmful chemicals. So don’t rely on your e-juice being diacetyl free, and instead do some research on the brand of juice you’re using. Even if they only use a small amount of diacetyl, it’s always better to be safe than sorry. Are these chemicals worse that cigarette smoke? No. but is that good enough for you? No one is saying quit smoking cold turkey, or that you shouldn’t vape. You should simply make sure that you aren’t buying a cheap juice from an unknown. Get to know your juice before you use it!